The discussion revolved around whether to renovate or replace the auditorium and whether the board should proceed with final approval of capital reserve funds to pay for the first phase of parapet wall repairs to the building. 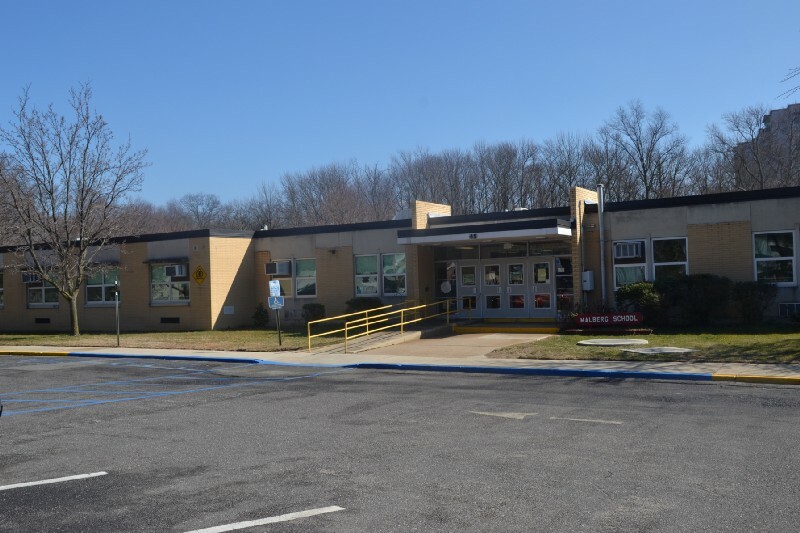 The discussion on Cherry Hill Public Schools’ proposed 2019-20 capital projects continued at the board of education’s work session meeting last Tuesday. Board member Ruth Schultz, chair of the business and facilities committee, gave an update on the committee’s last meeting on April 2. During her update, Schultz went through options the district could pursue regarding repairs to the Cherry Hill High School East auditorium. During the replacement of the auditorium’s roof late last year, district architects discovered structural issues with the auditorium’s parapet wall. While the building is currently safe to use, district officials state repairs need to be done as soon as possible. Renovations to the auditorium would consist of two phases. The first phase would cost about $3.4 million and involved repairs to the parapet wall as well as an analysis of the rest of the structure in advance of phase two of the project. Money for the phase one repair is included in the proposed list of 2019-20 capital projects. Phase two of the renovation would include further structural repairs as well as extensive exterior and interior renovations. Phase two would cost about $8.8 million, making the total cost of a renovation about $12.2 million. Four options for the Cherry Hill East auditorium were discussed at the meeting. Two of the options involved renovating the auditorium in two phases, while the other two options included building an entirely new auditorium. The first option presented to the board involved renovating the auditorium using only capital reserve funds. The second option, identified by Assistant Superintendent for Business Lynn Shugars as the administration’s recommendation, is to renovate the auditorium with phase one repairs to the parapet wall being paid through capital reserve. The phase two renovations would be paid through a future referendum and could potentially lower how much taxpayers paid thanks to reimbursement money from the state. The other two options involve replacing the auditorium. One option has the district paying it entirely through capital reserve, something Shugars cautioned against. Shugars added paying for a new auditorium through capital reserve would also mean the district would be putting off other necessary projects from around the district for a considerable length of time. The other option had a new auditorium packaged into the next referendum. Shugars said the district expects to receive much less money from the state if a new auditorium was built. For a new building, Shugars noted the district expects to only receive $143 per square foot for new construction. However, this option was one a few board members felt was worth exploring, despite the cost. “Other community members have stated this could be an opportunity for a centerpiece for East of a vision of putting together a state-of-the art auditorium that is something we could build around and could be an attraction for renting it out for external programs as well as an opportunity to capture alternative funding through sponsorships,” board member David Rossi said. Last week’s discussion came after the board was split on approving a resolution for the use of capital reserve at its March 19 meeting. Rossi, Wang and board members Laurie Neary and Sally Tong voted against the original project list after Neary was unsuccessful in making a motion to get the auditorium repairs as well as Cherry Hill East masonry wall repairs and the installation of security vestibules at both high schools removed from the list. The original resolution was approved by a 5-4 vote. District public information officer Barbara Wilson said since the use of capital reserve funds is included in the 2019-20 budget, the capital projects resolution must be approved again at the budget’s public hearing, scheduled for Tuesday, April 30. Board member Edward Wang asked the board to revise the 2019-20 capital projects list prior to the next meeting and hold off on making a decision regarding the auditorium repair until a decision can be made on the issue. Wang said approving the capital projects resolution on April 30 would make the discussion of renovation versus replacement of the auditorium “a moot point” as the district would be approving the funding of a renovation. If the resolution is approved without modifications, $1 million would be allocated for wall repairs for the East auditorium. The board previously approved $2.5 million to also go toward phase one repairs. Schultz offered her thoughts on the matter, saying she is favoring renovation, noting the district could save about $5 million going that route and would be essentially renovating the auditorium down to the building’s skeleton. Schultz added she would support new construction if it involved an entire school building rather than just a portion of the structure as proposed in the auditorium repair.